Great stuff! Wouldn’t you agree? What you are looking at are just some of the amazing creations from the Graphic Spaces Etsy shop. 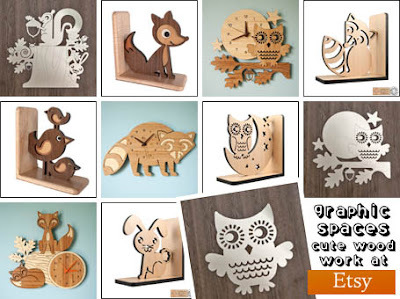 Graphic Spaces are a family collective of woodworkers extraordinaire who specialise in creating beautifully handcrafted room décor for children. And, if you ask me, they not only specialise in this endeavour, but absolutely excel at it too! Quality through and through from start to finish! Enjoy!